Chen-Hsing [Yen?] 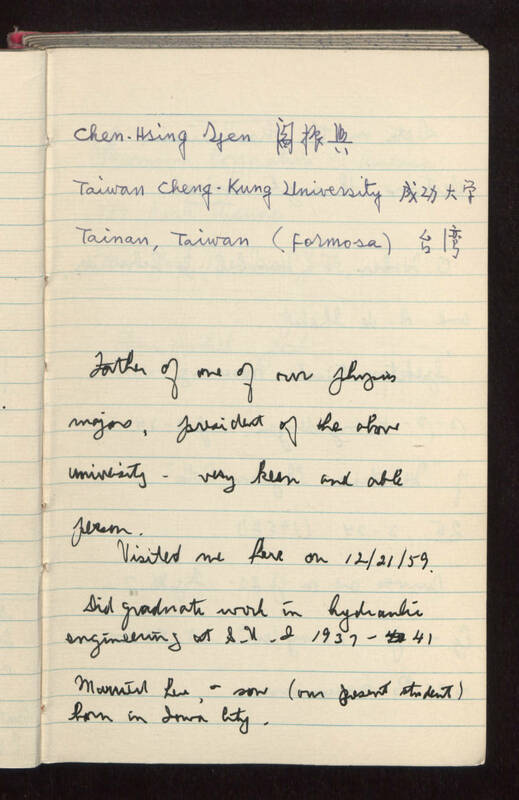 [Chinese writing] Taiwan Cheng - Kung University [Chinese writing] Tainan, Taiwan (Formosa) [Chinese writing] Father of one of our physics majors, President of the above University -- very keen and able person. Visited me here on 12/21/59. Did graduate work in hydraulic engineering at State University of Iowa 1937-1941. Married here, and son (our present student) born in Iowa City.